Despite pulling away with the victory, Game One of the Stanley Cup Final probably didn’t go exactly as planned for the Pittsburgh Penguins. Sure, they took the series opener by a final score of 5-2 over the Nashville Predators. But they also jumped out to a 3-0 lead early before squandering 37 minutes without a shot on goal and the opposition climbed back in to tie things up 3-3. If it wasn’t for Jake Guentzel scoring late in the third period, Pittsburgh might be looking at an entirely different outcome. They might be nursing the wounds of an awful collapse. They might be retooling, figuring things out, determining what went wrong. And in a way, they’re probably still drawing things up a little differently for Game Two. The Penguins were outshot 26-12 in the game and were outplayed for long stretches. 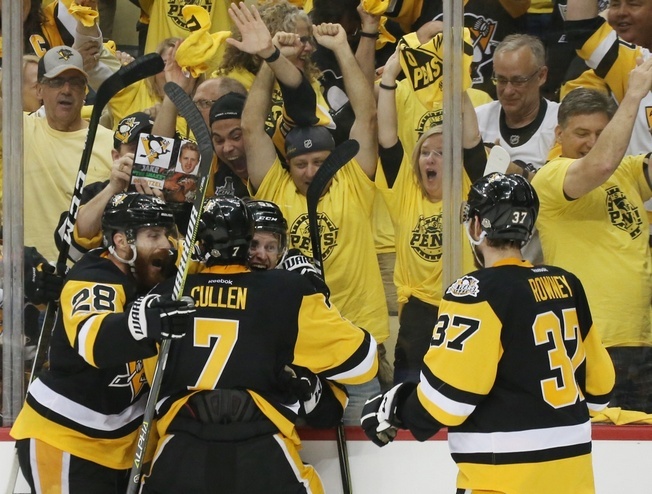 Being better is a must if the Penguins want to win the Stanley Cup, that’s for sure. They got lucky against Nashville in Game One. They lost critical puck battles and didn’t look strong on possession. And the Predators became the first team to hold an opponent without a shot in a period in the Stanley Cup Final since the NHL started tracking the stat. We’re talking 1957-1958. Nashville struggled at times and goalie Pekka Rinne could’ve played better. He stopped seven of 11 shots, posting his lowest save percentage in a game since October of 2013. His timing could not have been worse. Luckily, the Predators’ defence looked good. Roman Josi skated for nearly half the game and caused three turnovers, plus he blocked a shot. And Mike Fisher was solid in his first game back since missing the last two games of the Western Conference Final. But Nashville is trailing in a series for the first time in these playoffs, even after Pittsburgh played one of their worst games of these playoffs. That can’t be heartening. What can the Predators do? They can build on what worked in Game One. They’ll hope for better goaltending. They can control penalties and can continue to drive possession from the defence. A little luck wouldn’t hurt, either. Even the dumb kind.